Do you have a blog, particularly a book blog? 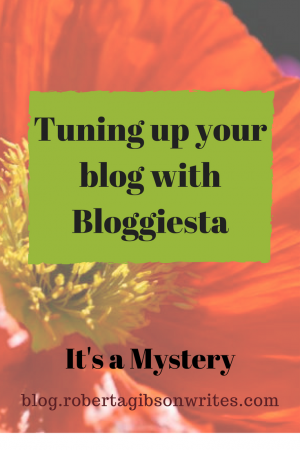 Time to spruce it up, catch up on those posts you’ve been meaning to write, and get re-energized about blogging by participating in the winter 2018 mini-Bloggiesta from February 3-4, 2018. Sign-ups are here. 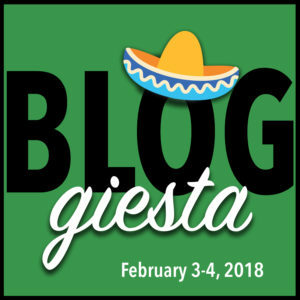 Bloggiesta is an online party where you find tips to get your blog organized, take challenges to learn new things, and — best of all — meet some awesome book bloggers! Update the Bestseller Code 100 Reading Challenge Book List into June. Check the sidebars on all my blogs for outdated text and widgets. I took off the blogrolls on my oldest blogs. Does anyone still do those? They become outdated so quickly. Make a few upgrades to my Roberta Gibson Writes website. Cross-post some reviews to GoodReads, etc. Visit and comment on other Bloggiesta participants’ blogs. Check out the past challenges for more ideas. Revise this list as I think of more things. Should back up all my blogs ASAP. Summary: I accomplished more than I thought I would, even though life got in my way yesterday. Three projects that seemed to be nearly completed took sideways turns on me and will now require significantly more work. Guess it was better to find the issues before they are submitted rather than afterwards, but it was still a bit disheartening. Hope you all have had a fun and productive Bloggiesta. Looks like a great list to tackle. I was happy to see you are participating, too. I’m going to check your list right now. Great list! Thanks for sharing…and for visiting my blog. Good luck on your challenge! This is my first bloggiesta and I’m so inspired by everyone else’s lists! Time to get busy, indeed. Good luck on your first Bloggiesta. They are both fun and useful. You’ve got plenty to do, I hope you achieve all your goals! Wonderful list! Happy Bloggiesta! Good luck! I’m going to try to organize my TBR better using a spreadsheet. Thanks for the tip. Awesome goals! I hope you had lots of success! Yours is a great list, too. I added doing back ups to my list, although I won’t get it done this weekend. You got a lot done on your list for one weekend! Congratulations!